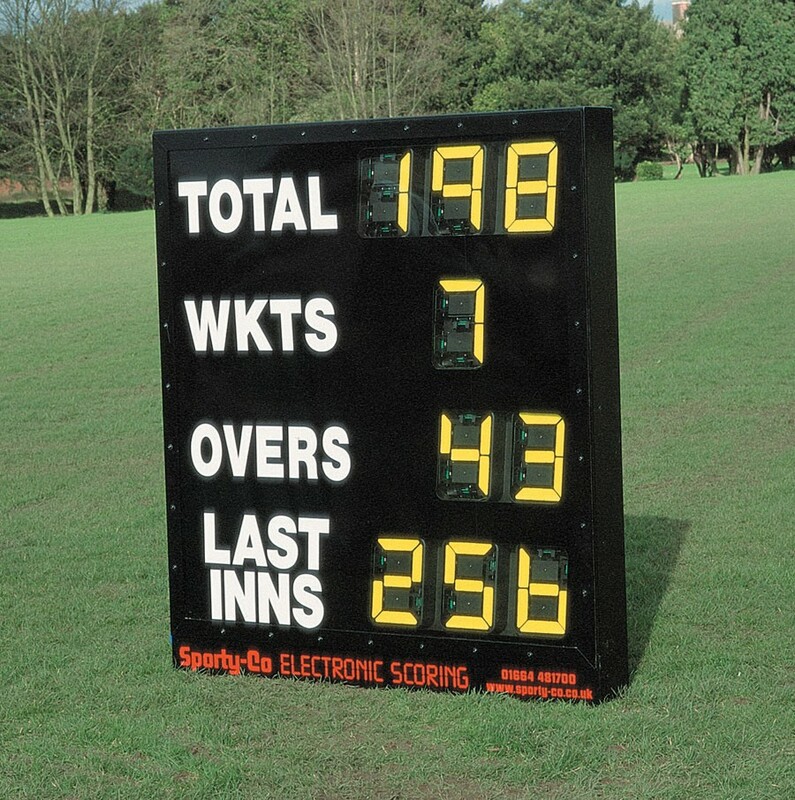 Freestanding Electronic 9-Digit timber scoreboard painted matt black accommodating 9 no. high quality 305mm bright electro-magnetic digits. This board is easily radio-controlled via a wireless console with mimic (which shows the scorer what is showing on the scoreboard). The console, which is extremely user-friendly, comes with its own carrying case. Information shown consists of Total, Overs, Wkts and Last Inns. The digits are protected at the face with clear polycarbon glazing and are fitted into a weather-proof aluminium housing. This scoreboard is designed to work from a mains supply, which must be provided, or from a 12 volt lesiure battery (not provided).